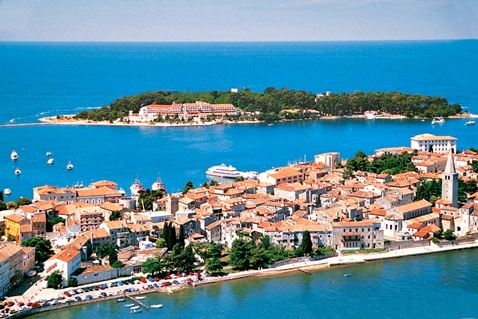 Lying on the west coast of Istria, Porec (Poreč) is a medieval stone town located on the peninsula. Porec (Poreč) is a cultural, historical and attractive tourist destination with charming old streets that hide several thousand years old secrets. Were he a person, he would be popular, full of life, but at the same time discreet. It is surrounded by beautiful beaches, hidden coves, islets and rocks. Green pine trees adorn the background of its coastline while the sea attracts with the richness of flora and fauna. The town is well-known and popular tourist destination with a rich cultural heritage and entertainment. It cherishes the tradition of fishing, maritime affairs and tourism.